Many tax lien investors hope to foreclose on the underlying property. Property taxes are an important component of a county budget. When owners fail to pay their property taxes, the county tax collector issues tax liens to recoup the lost tax revenue. The tax liens are issued with high interest rates to entice investors to purchase them. The county gets the tax money when the lien is sold and the investor has a secured high-yield lien against the property. Tax liens are issued on all types of property and it is up to the investor to know how to recognize and avoid the risks of investing in tax liens. Sometimes owners stop paying their property taxes because the property is worthless. A vacant lot can be landlocked. 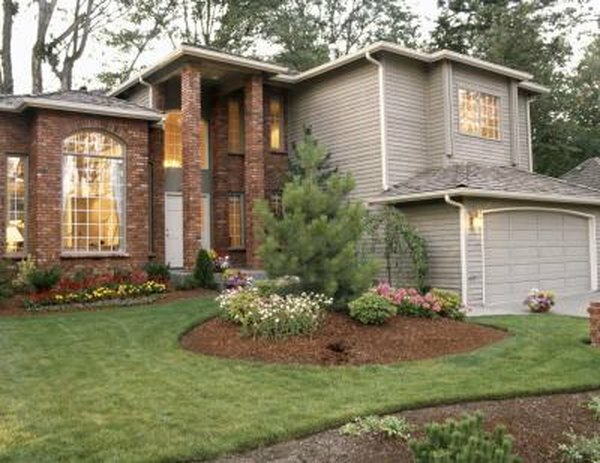 A one-acre lot may be unsuitable because it consists of a small strip of land connected to a larger piece that does not meet the minimum lot building size. The property may be worthless because it is located near a sink hole or has environmental issues. Visiting the property before you buy is the best way to avoid this problem. If the property is located out of the area, you can still see the property using an online mapping service such as Google Maps. When you purchase a tax lien, state statutes limit the amount of time you have to foreclose on the property before the lien expires worthless. If you file a foreclosure and the property owner pays off the property, the lien is extinguished and you lose your chance to own the property. Foreclosure is slow and the property’s value can fall during the foreclosure process. You could end up owning a property worth less than what you could get for selling it. Avoid this risk by steering clear of states with high foreclosure rates and areas with depressed property values. Property owners are responsible for maintaining their property. When you purchase a tax lien on a property out of your area, you have no idea if the property is being maintained. For example, the property owner will receive a deficiency notice to cut the grass and if the owner does not comply, the municipality will cut it and fine the property owner for the costs. If you purchase a tax lien on a low assessed value property, over time the fines and costs could outweigh the property’s value. There is very little you can do to avoid this risk. If a property owner files for bankruptcy, the tax lien is included as one of the property owner’s debts. The bankruptcy judge has the authority to order other debts be paid off before the tax lien, and the judge can change the interest rate from the amount shown on the tax lien to a lower rate. The tax lien owner also cannot start or continue a foreclosure action during bankruptcy proceedings. Many counties indicate which properties are in bankruptcy along with the tax lien information. Avoid this risk by passing over any tax lien listing that is in bankruptcy.